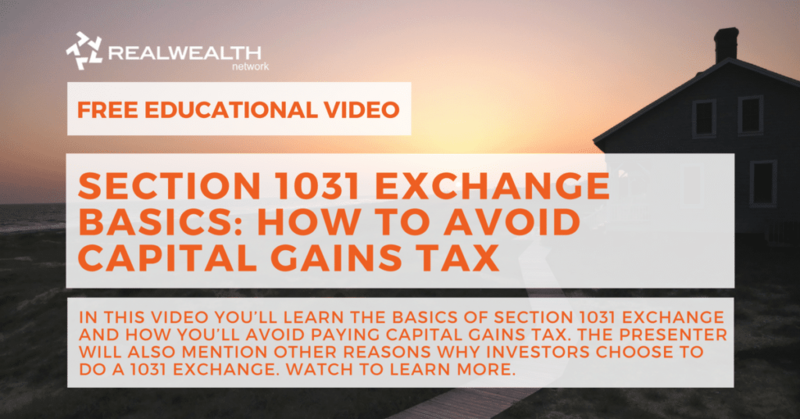 In this video you’ll learn the basics of section 1031 exchange and how to use it to avoid paying capital gains tax when you sell investment property. The presenter, Wei Ming, will also mention other reasons why investors might choose to use a section 1031 exchange. Wei Ming: My name is Wei Ming, and I’m with Asset Exchange Company. We primarily do 1031 exchanges, because we are a 1031 exchange accommodator. When and how to get a 1031 exchange setup is very, very important. Let me tell you why. Just this week, on Monday, I had a realtor give me a call and she said, “Hey, my client is going to be doing a 1031 exchange. I’ll give you a call on Friday, because they’re closing Friday.” She said she was closing Friday, but what she didn’t tell me was she closed last Friday. It was a $2.8 million deal too, so that’s a pretty big deal. What a 1031 exchange, in order to set it up, you must contact the company to get everything set up before the close of escrow. If you try to contact them after, then unfortunately, it’s a little too late. Here’s why. If you are in constructive receipt of the funds from the sale of your property, doesn’t matter if you’ve spent it or not, you are subject to capital gains tax. Ideally, what you want to do is when you get into contract or when you open escrow, contact your 1031 exchange company and get everything started. This way, you don’t have to worry about trying to get it done last minute. For asset exchange companies, if you want to set up an account, all you have to do is provide us with escrow’s contact information and we will reach out to them to get a copy of the contract and title report to set everything up. That’s what the 1031 exchange companies need in order to provide the paperwork. There are many reasons why investors want to do a 1031 exchange. The main reason is that it allows them to defer the capital gains tax. How much? Well, roughly one third. Roughly one third–that’s the general rule of thumb we use. I can give you the breakdown of that in the next slide, but general rule of thumb we use, it’s expect about one third of your capital gain to go taxes. Other reasons why investors may want to do a 1031 exchange is that it allows them to exchange into larger properties that’s easier to manage, or they can exchange into multiple smaller properties outside of the state that you sell in or anywhere that you want in the United States. Diversification, it’s a great reason to do a 1031 exchange. Maybe you know a property in a really hot market right now that you want to get into. Or, you want to exchange it into areas like Texas or Arizona where you can get a lot more properties for your money and that will allow you to get more rental income. Other reasons include the ease of management. Now, a lot of investors, they may have had their properties for a long time. They may not want to manage it anymore. What they may want to do is they may want to exchange into something that’s easier to manage or have somebody else manage it. Finally, exchangers or investors exchange because of the depreciation. If you own your property for a very long time, you may have fully depreciated your property. By exchanging into a property of higher value, it restarts the depreciation clock as well as giving you more equity to depreciate. For residential properties that is 27.5 years, commercial properties that’s 39 years. As I was saying in the previous slide, expect about one third of your taxes to go to, or one third of your capital gain, to go to taxes. Here’s some of the breakdown. You have the depreciation recapture tax, you have the federal tax, you have the Medicare tax, and you have the state tax. Now, I’m sure everybody here don’t really want to write a large check to the IRS. fully depreciated your property, 25% of that will go to taxes if you did not do a 1031 exchange. Federal tax, it’s a little different. It’s either at 15 or 20%, depending on your income. So if you’re single and not filed jointly, if you make $400,000 or less, you’re at 15%. Make more than that, you’re at 20%. If you’ve filed jointly and you make less than $450,000, 15%. More than that, 20%. Many of you may be thinking, “I may not make that much. So, am I on the lower end of the bracket? Maybe at 15%?” Unfortunately, that’s not always true, because that depends on how much you’re selling your property for and how much in capital gain you may be getting. So that could bump you up into the next tax bracket. Unfortunately, there’s also Medicare Tax now which is at 3.8% if you make at least $200,000. For those of us in California, state tax is anywhere from 9.3 to 13.3%, again, depending on your income. Once again, depending on how much you’re selling your property for, it could potentially bump you up to the next bracket. With everything blended together, the average, or general rule of thumb, again, we use is, roughly one third. Now, when you’re asking us about 1031 exchanges, we can’t give you financial advice. We can’t give you any legal advice, but we can kind of give you the general idea of how much in taxes you may owe if you did not do a 1031 exchange. To determine how much of a tax bill you may be looking at, you find your capital gain. The way you do it is, you first have to find your basis. You probably don’t have to look at any of these numbers or try to calculate it yourself because that’s what your CPA is for, that’s what you pay them for. If you want to do it yourself or get a general idea of what your bill may be, this is the calculations you use. You first find your adjusted basis, which is in this example $425,000. The way you get it is first by finding what you purchased your property for. 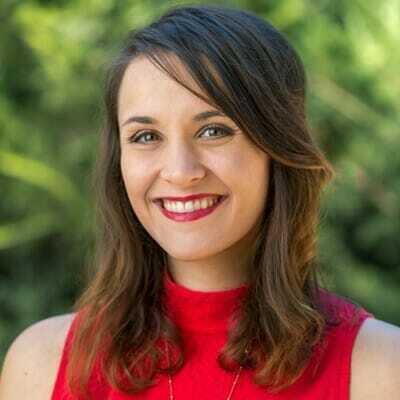 In this example, this person bought a property for half a million dollars, depreciated $100,000 of that property. That means he would subtract it. Any improvement that you have made onto your property, you simply add on to the basis. Again, in this example, that comes up to $425,000. Now, depending on how much you’re selling your property for, will also determine your capital gain. In this example, this person sold for a million dollars, has a basis of 425, and the capital gain comes out to 575. Now, on the right hand side, I’m not going to go over that because I don’t want to bore you with it since you’re not going to be doing the calculations yourself anyways, but it comes out to about $192,000, which is roughly a third of 575, give or take. It may not be exactly 33% for you guys, it could be a little higher, it could be a little lower, but always speak with your CPA or tax advisor to help you calculate these things.